We spend so much time perfecting our décor, whether it's styling our coffee table, updating our bedding seasonally, or organizing our entryway. But our outdoor spaces? Those often come as an afterthought. Example: Even though we said farewell to furniture sets in our homes long ago, they still seem to dominate our patios and balconies. So how do you infuse your outdoor space with as much personality as you do indoors? It all starts with a carefully selected pillow mix. 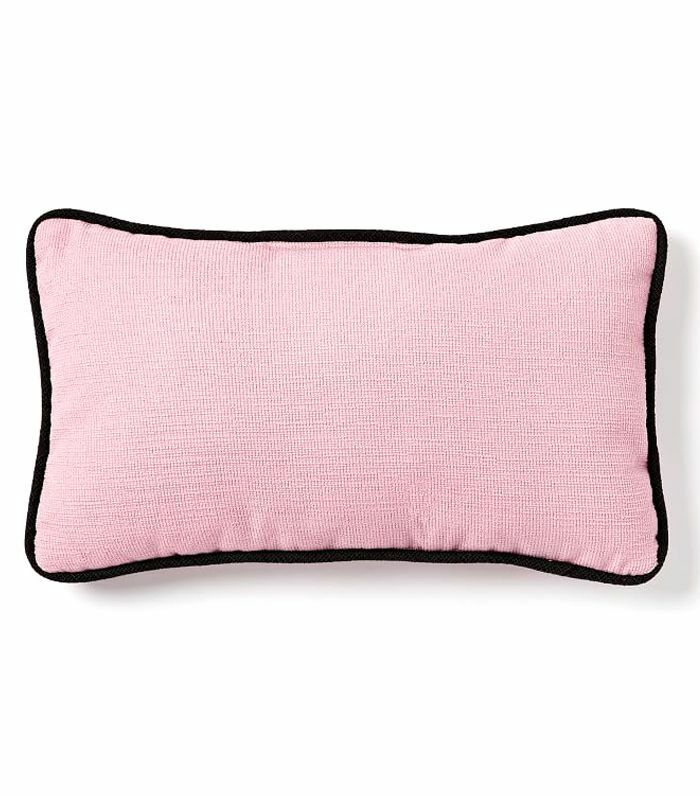 Sure, you may not be ready to upgrade your patio dining table and chairs or buy a whole new outdoor living room set, but throw a few pillows at the problem and you're well on your way to a serious upgrade. Besides, a few well-placed outdoor throw pillows will also make your space feel extra cozy and inviting. Ready to give your patio or balcony a much-needed face-lift? Start with some of our favorite outdoor throw pillows. 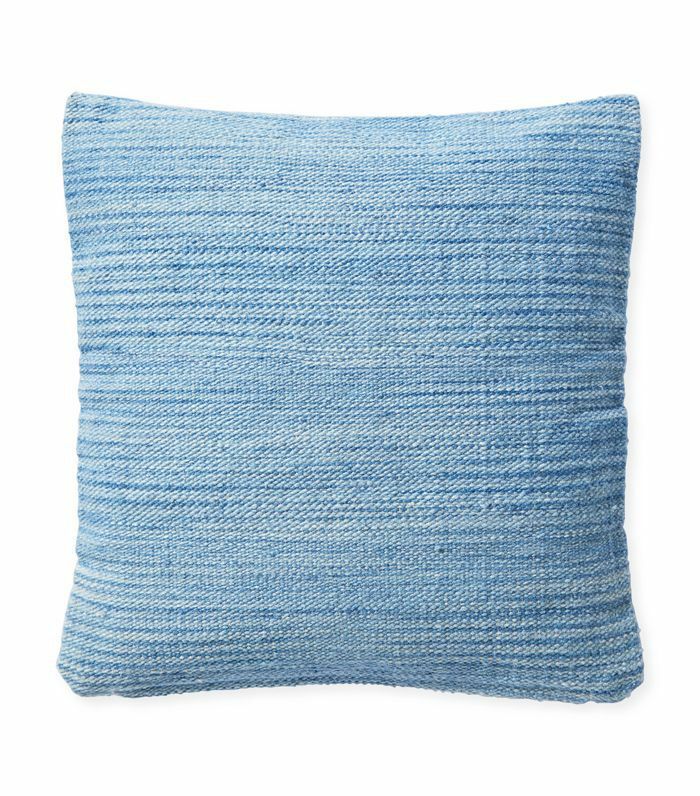 These stunning, washed-out woven pillows from Serena & Lily come in four hues, including a cheery bright yellow that reminds us of sun and sea. West Elm launched a collection of outdoor pillows in bright sorbet hues with contrasting trim, and we want every single color. 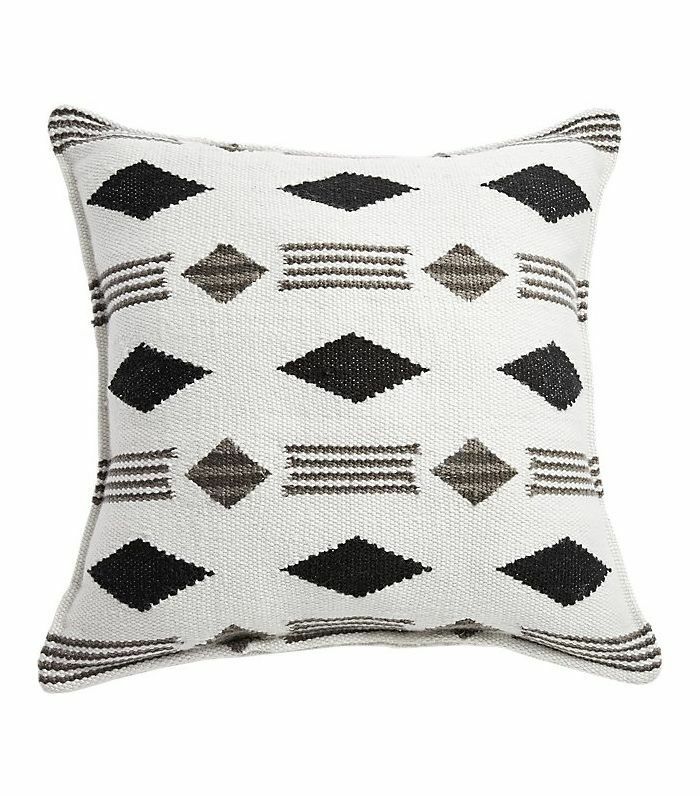 This diamond-patterned black-and-white pillow will add texture to any minimalist outdoor space. It's undeniably chic. 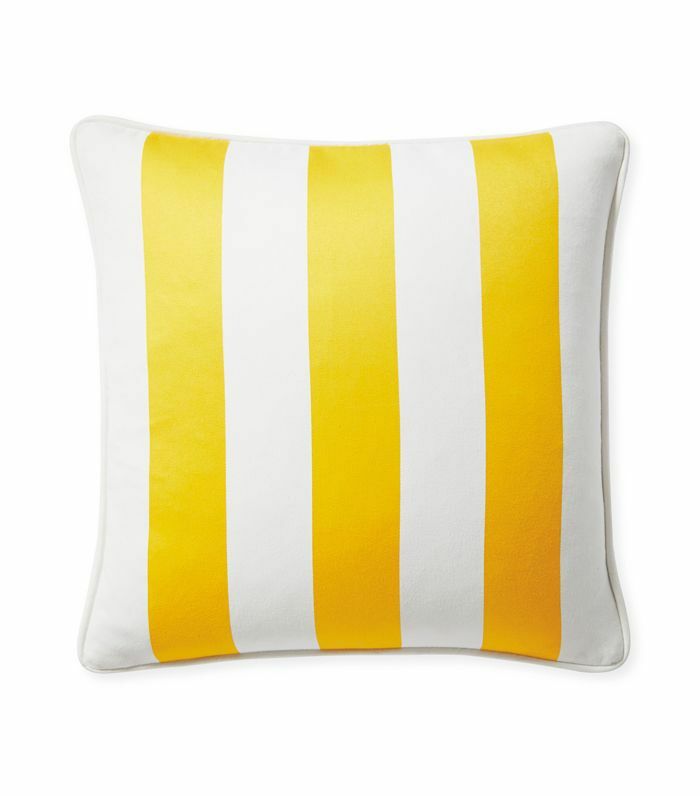 Give your outdoor space the happiest island vibes with these brightly colored striped pillows. They'll cheer you up instantly. 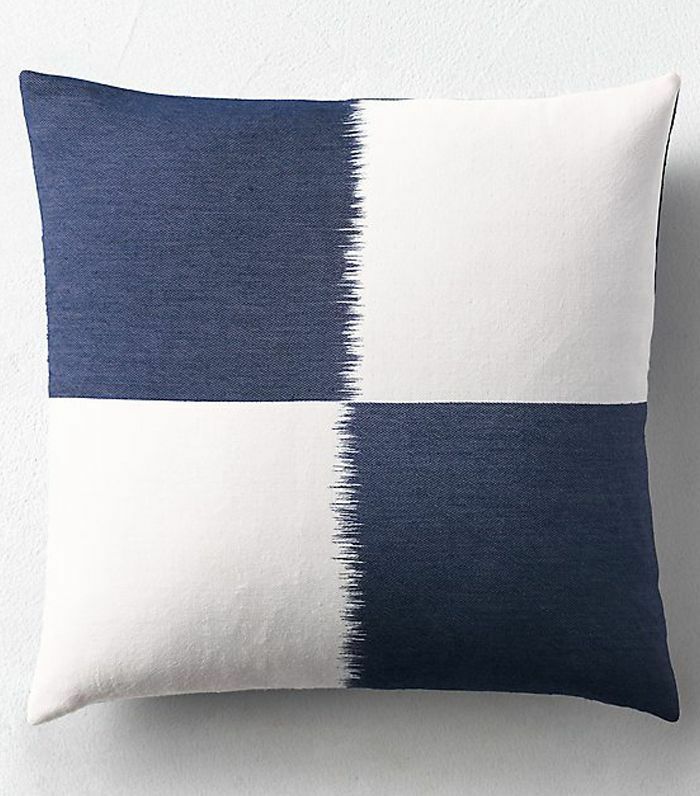 People who love a more classic aesthetic for their outdoor patio will adore Pottery Barn's collection of printed pillows, which come in three beautiful colorways. 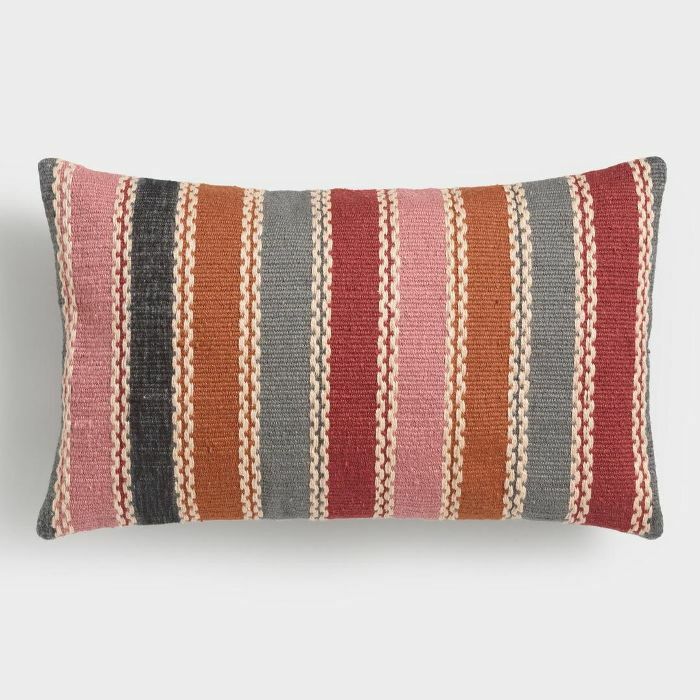 Add rustic desert vibes to your outdoor space with this striped pillow in shades of blush, ochre, and rust. 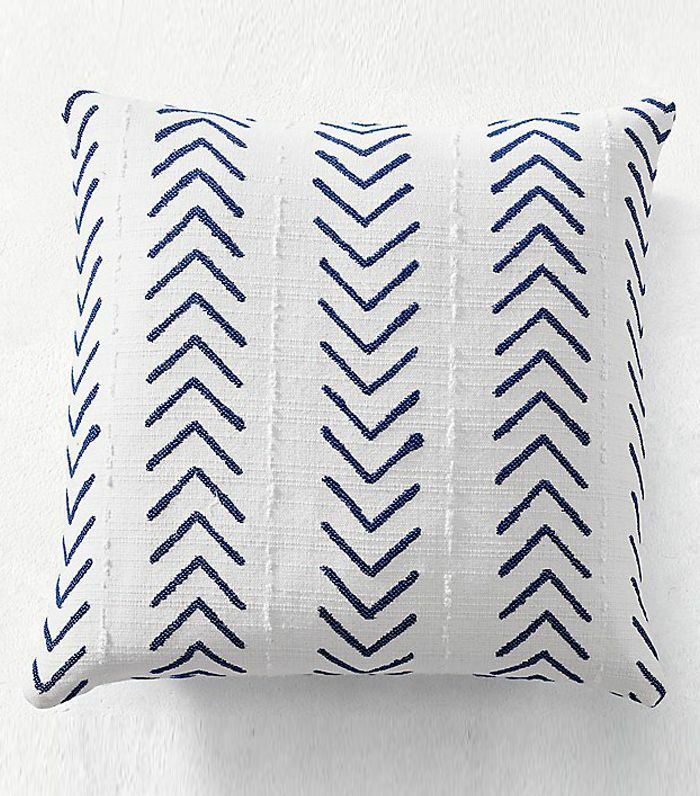 Give your outdoor space a fun nautical vibe with this pillow cover by Kerry Joyce. The durable Sunbrella fabric will ensure it lasts for multiple seasons. 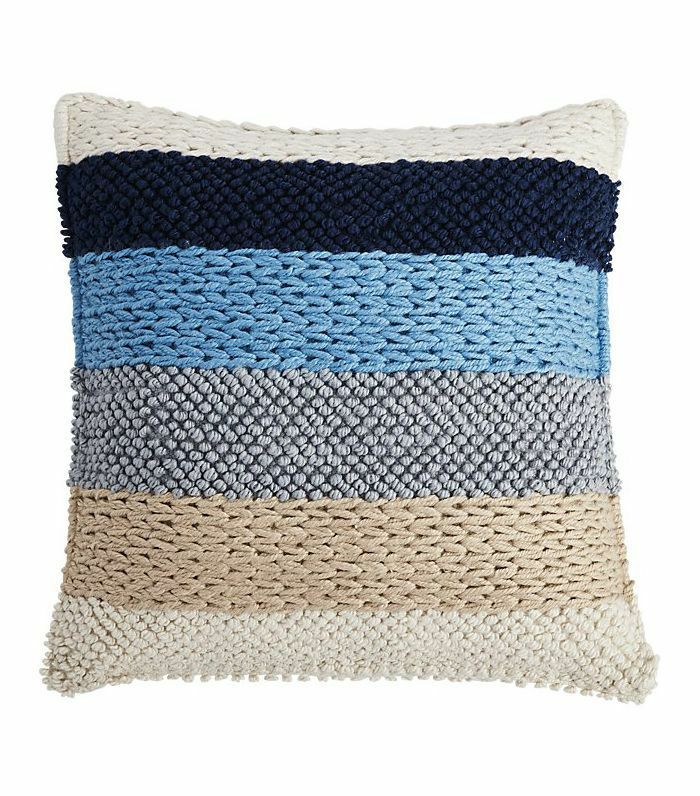 This moody woven pillow will give your outdoor space the boho vibes we all love. Better yet, it'll blend into your living room décor once summer is over. 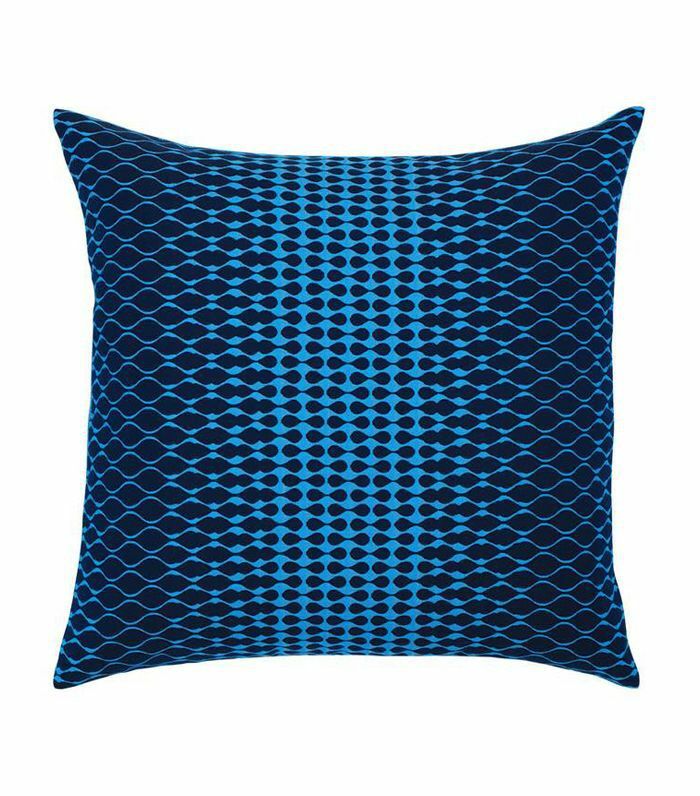 This bold optic pattern in indigo hues is not for the faint of heart, but it will give your space a striking, stylish flair. 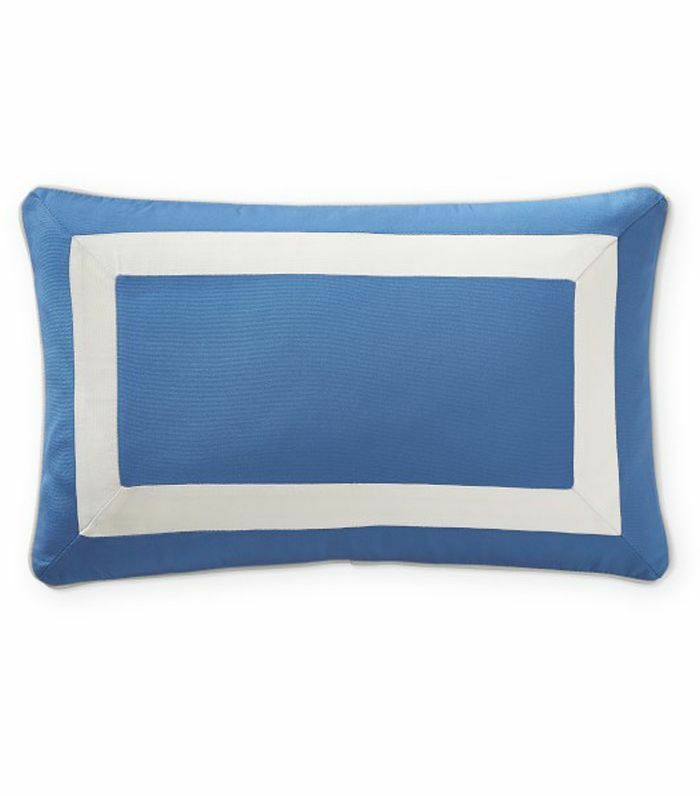 Give your outdoor space a timeless feel with this classic grosgrain pillow in the most beautiful Riviera-inspired hue. 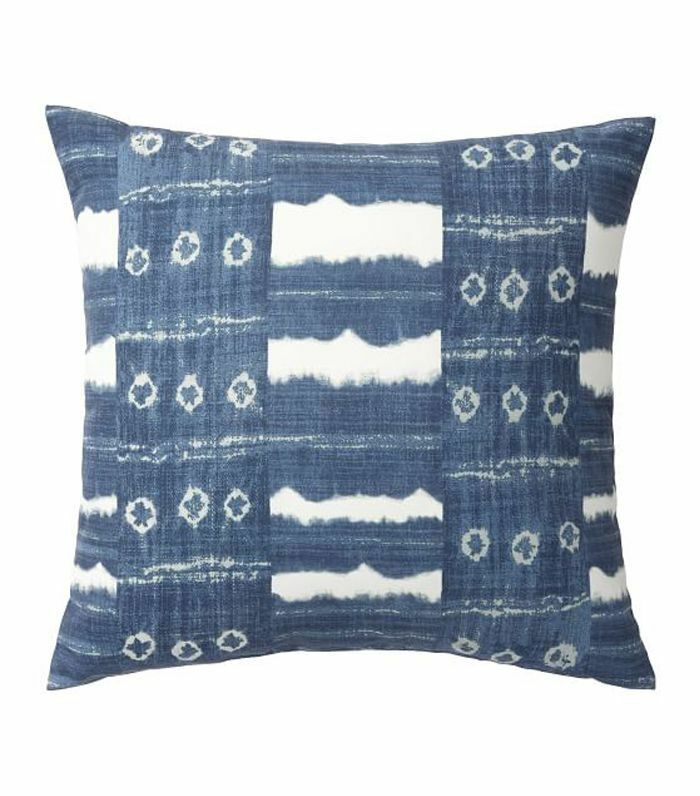 You'd never guess that this striking mudcloth pillow was made for the outdoors, but that's specifically what will make it stand out on your balcony or patio. 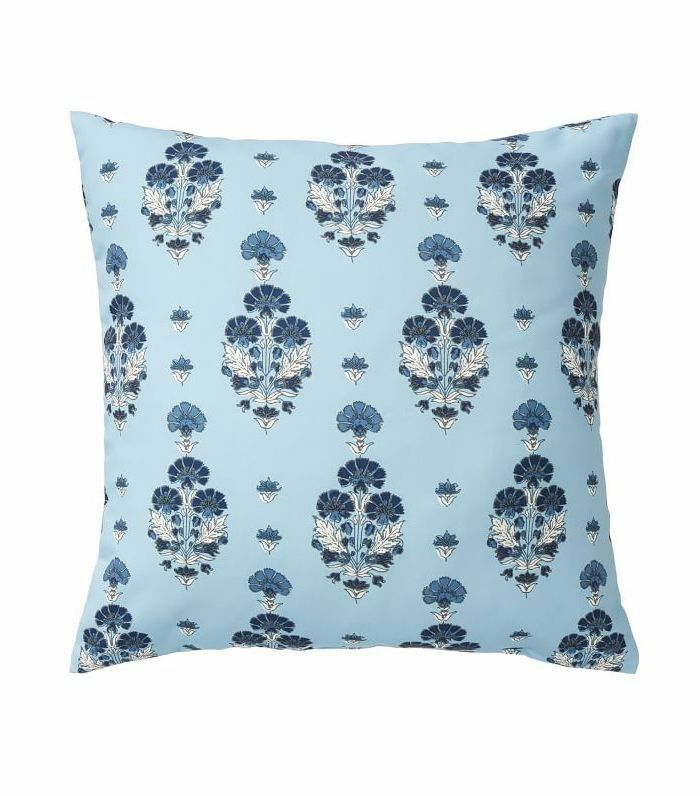 Those who like the boho Batik pillow look will love this outdoor pillow collection, available in indigo and gray. 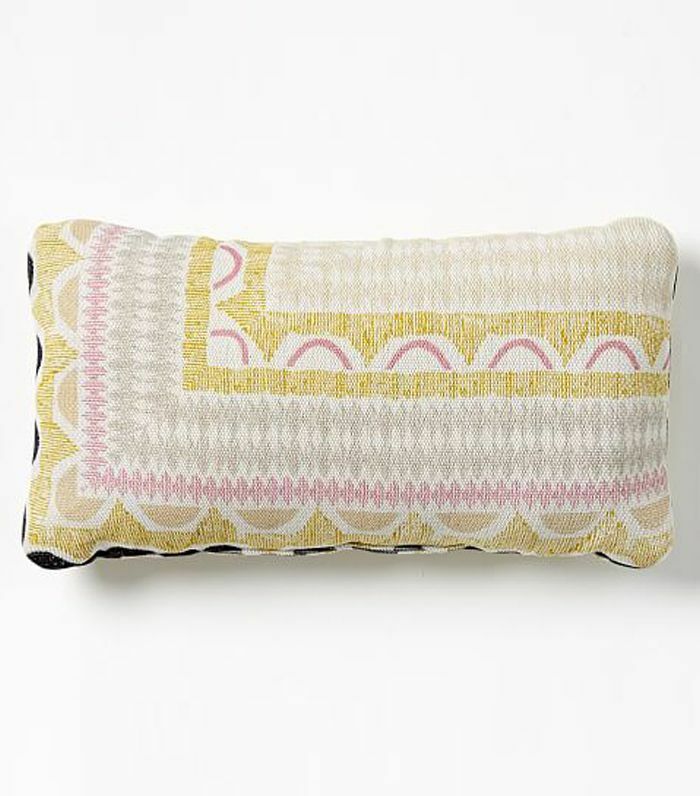 Part of West Elm's array of beautiful, colorful outdoor patterned pillows, this ikat number is calling our name. Want your space to feel like a jungle? 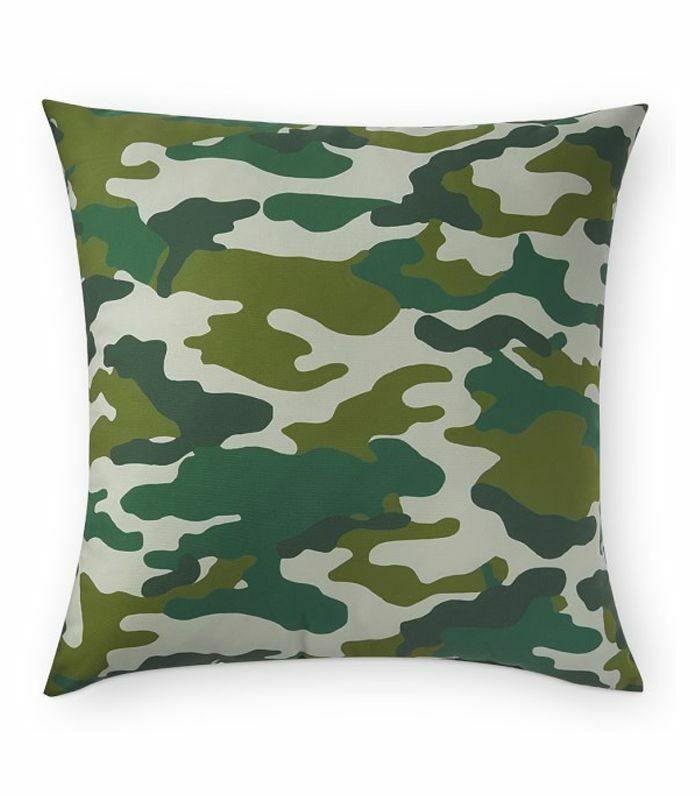 Add in a few printed camo pillows to blend into your leafy outdoor décor. 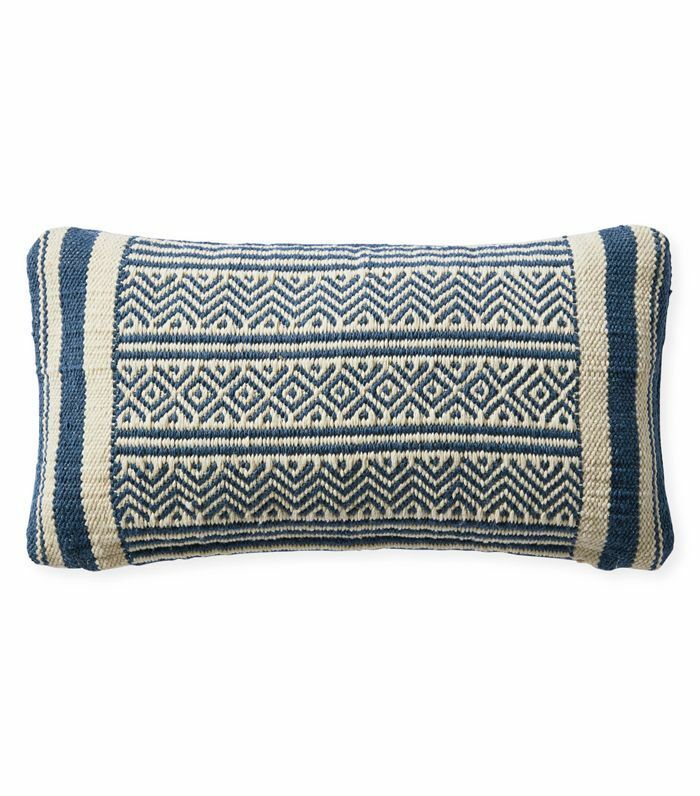 This nautical-inspired striped pillow by Fred Segal reflects the true laid-back luxe that California style is known for. 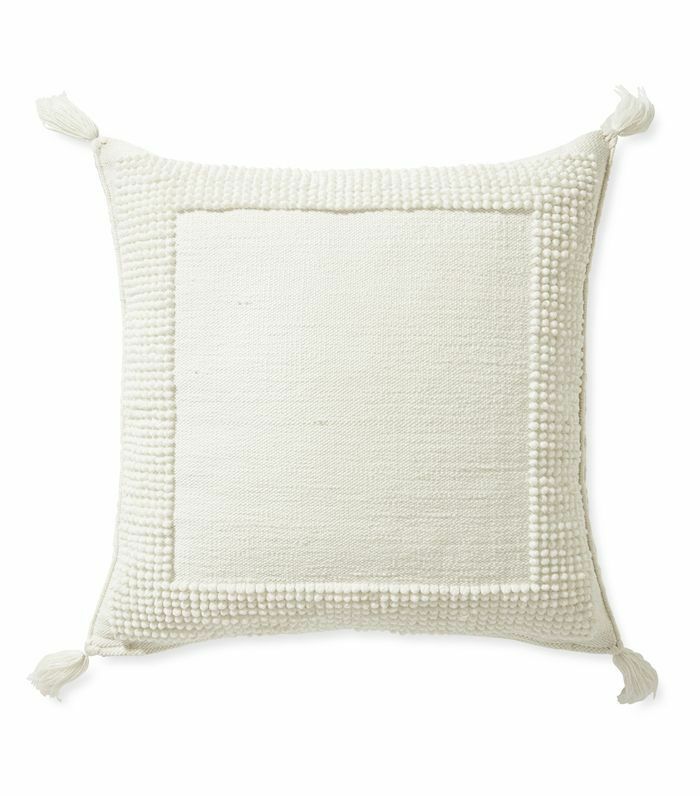 Pillows don't just belong on sofas and chairs—this plush outdoor floor pillow would make a great addition to a large patio lounge as well as a tiny cozy balcony. Next up: Anthropologie's weather-resistant outdoor line is cute enough to bring indoors.